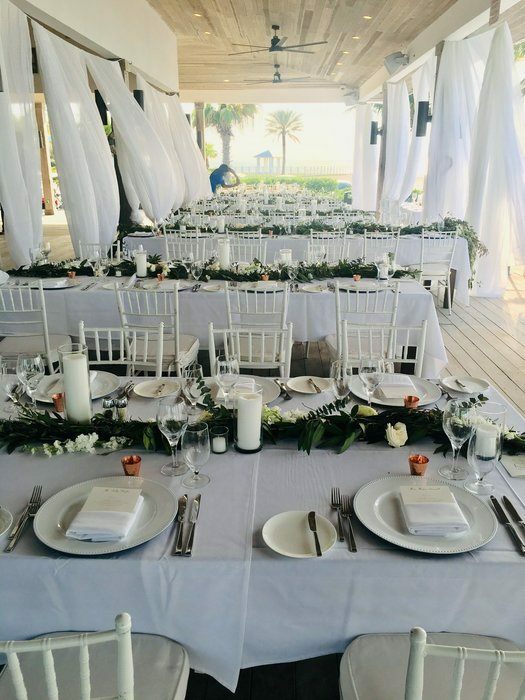 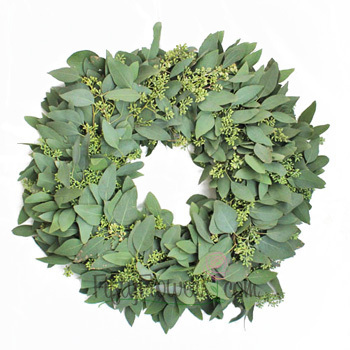 Though they are known for adding a fresh touch to homes on the holidays, Fresh Seeded Eucalyptus Wreaths can be a unique floral accent to events any time of the year. 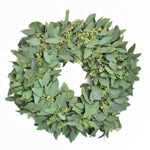 The wreaths are circular, and feature eucalyptus leaves with a muted, sage green tone. 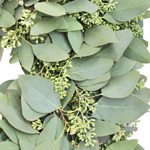 Lime green seeds throughout add both color and texture. 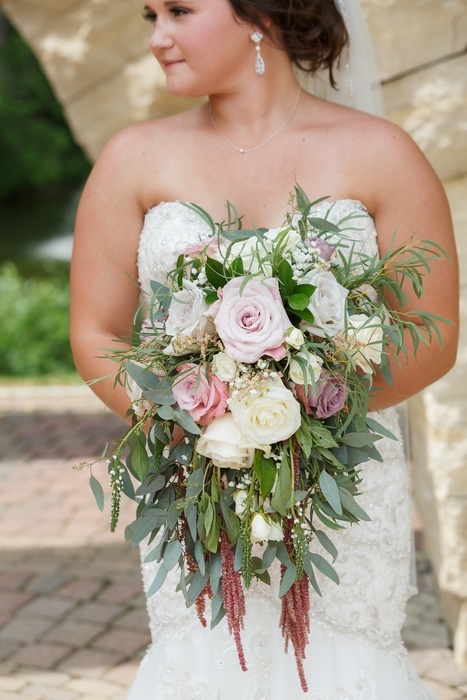 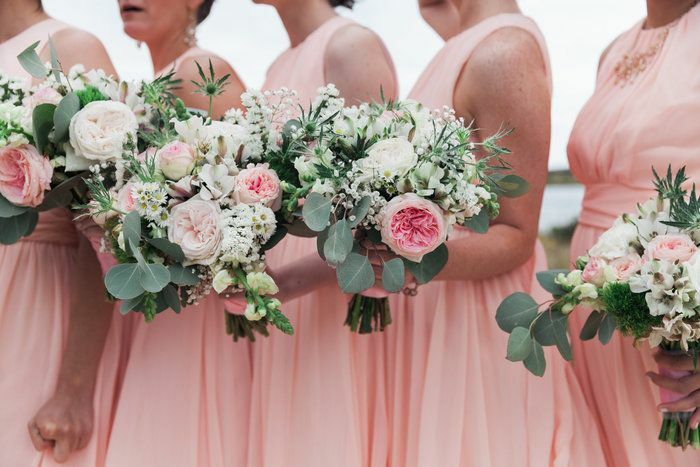 To add this wreath to a rustic event during the summer, use floral wire to add in blush pink peonies, deep peach garden roses, and blushing bride protea flowers.